More than a month after the Austin Police Department was forced to abruptly shut down its DNA testing lab, it remains unclear whether any criminal convictions will be thrown out because of improper testing. More than a month after the Austin Police Department was forced to abruptly shut down its DNA testing lab, it remains unclear whether any criminal convictions will be thrown out because of improper testing. In the meantime, the city has arranged interim lab arrangements and is trying to cut down on a backlog of pending cases, according to officials. In June, the Texas Forensic Science Commission told the department its audit had found that untrained staff and improper testing procedures raised concerns about the scientific validity of the lab's DNA test results. In an audit report released earlier this month, the commission did not comment on the possibility that the errors might have led to wrongful convictions. The Travis County District Attorney's Office and Lynn Garcia, the commission's general counsel, declined to say if a systematic review of cases is being undertaken. While the city seeks a new lab director and retrains staff, the state Department of Public Safety's lab has temporarily taken over some cases. Other work may be sent to private labs, officials said. The police department, DPS and the district attorney's office declined to answer specific questions about the closure. With the lab expected to remain closed for up to a year, experts say trials could be slowed down for some defendants waiting in jail, especially those who cannot afford lawyers. Last year, the Federal Bureau of Investigation alerted crime labs across the country that they were using obsolete methods to examine DNA samples containing genetic materials from multiple people. Some laboratories in Texas switched to a more conservative analytical approach, but the Austin crime lab struggled to adopt updated protocols, according to the audit. It also found that the DNA testing lab lacked properly trained supervisors and some staff members “convey[ed] inadequate understanding of the laboratory’s responsibility.” Lab analysts were using outdated methods to interpret test results and failed to correct and document contaminated DNA samples, the audit found. It was unclear if "carryover contamination" tainted other cases, the audit said. Austin Police Chief Art Acevedo attributed the lab's sudden closure to the death of its most recent supervisor, who worked there for 22 months but was on a lengthy medical leave. He said the department is trying to find a new scientist to lead the laboratory. But allegations of DNA miscalculation at the crime lab have been a longstanding issue. The June letter from the commission suggested that since 2010, lab analysts have been using expired mixtures and methods that are not “scientifically valid nor supported” by the forensic science community. 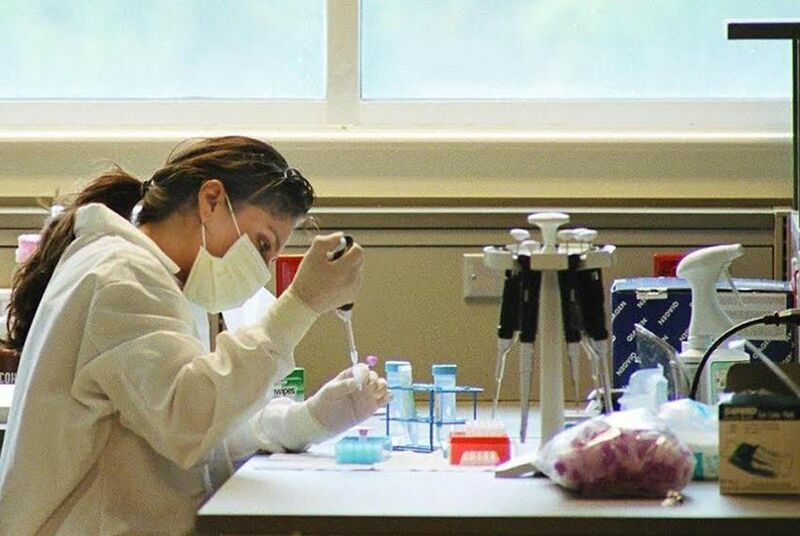 Former Austin Police Department crime lab senior forensic scientist Debra Stephens, who was fired in 2012 after filing a complaint with the Travis County District Attorney's Office alleging that some employees weren't qualified and didn't follow federal regulations, said officials have ignored issues in the lab for years. Similar concerns were raised in 2010 by Cicely Hamilton, a former DNA lab employee, who later resigned after filing a complaint about some employees ignoring situations involving the contamination of DNA samples. Robert Paine, director of the Master's of Forensic Science Program at Texas Tech University, said the city and state might ultimately have to kick in funds to help labs hire staff and meet standards. It's hard to tell if any Travis County criminal cases might have been decided based on flawed DNA analysis, he said. “But something needs to be done. Science is a self-correcting re-evaluating process. Techniques changes, federal guidelines changes, so [labs] have to adjust to the necessary standards,” he said.